Perfect for serving snacks and refreshments, keeping your desk organised or your accessories and cosmetics in order, this Cambridge tray is essential for every stylish home. 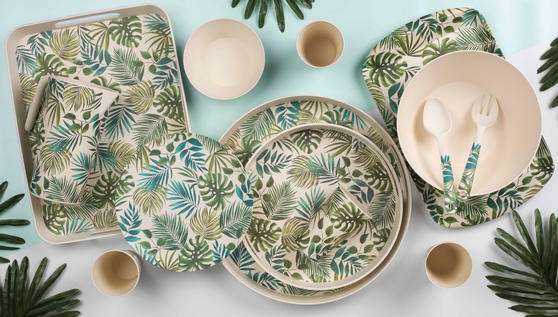 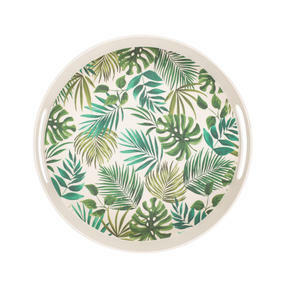 The botanical-inspired Polynesia design features plants and leaves in different shades of green, while the natural bamboo material also makes the tray kinder to the environment. 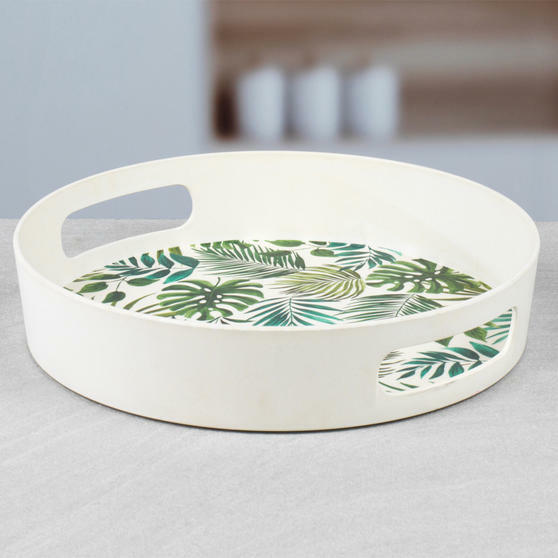 Lightweight and with secure side handles so it is easy to carry without spills, the tray measures 30w x 5h cm and is conveniently dishwasher safe. This on-trend Cambridge bamboo tray is brilliantly portable and makes storage stylish, with a place for it in every room in your home. 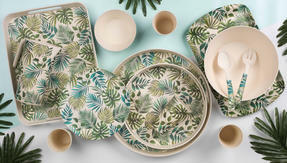 The unique Polynesia design looks lovely in any setting, ideal for serving refreshments or keeping your desk beautifully organised. 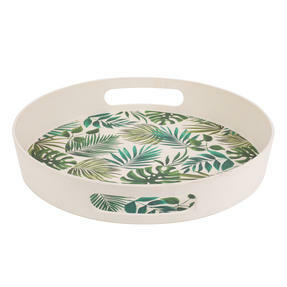 Made from eco-friendly bamboo, the tray is incredibly durable, lightweight, naturally anti-bacterial and environmentally friendly. With a diameter of 30 cm, the tray has plenty of space, with a height of just 5 cm so it will tuck neatly away in the kitchen cupboard. 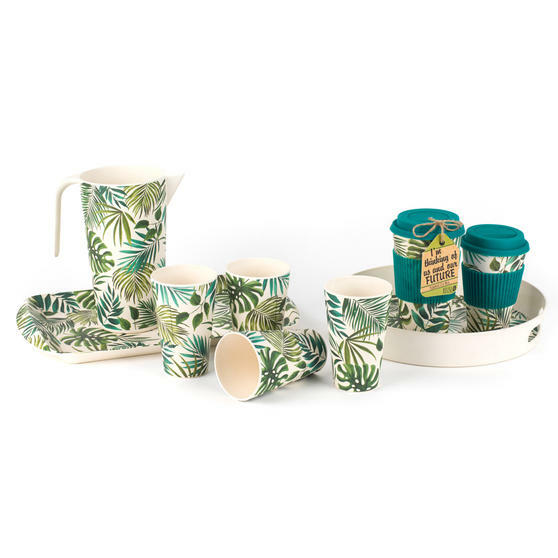 Ideal for everyday use and easy to carry, it has side handles to prevent spills, then simply wipe it clean or place in the dishwasher.